C# Delegates4/8/2019 12:50:07 AM. C# Delegates are used to invoke methods or functions at runtime. Learn C# delegate and how to implement delegates in C#. Delegates And Events In C#4/1/2019 8:37:37 AM. A delegate in C# is similar to a function pointer in C or C++. Using a delegate allows the programmer to encapsulate a reference to a method inside a delegate object. Delegates and Events In C# .NET3/27/2019 6:53:51 PM. In this tutorial and code example, you&#39;ll learn how to work with Delegates In C# .NET. Action and Func Delegates in C# .NET2/26/2019 10:53:39 PM. Func and Action generic delegates were introduced in .NET 3.5. In this article, you will learn how to implement func and action in C#. Func<> Delegates in LINQ10/24/2018 3:15:54 AM. Learn how Func&lt;&gt; Delegates in LINQ work. Func delegates are pointers to methods that take one or more parameters and must return a value. C# Delegates, Action, and Func8/10/2018 12:02:02 AM. In this video, we will be looking at the three important parts of C# - Delegates, Func, and Action. Creating Simple Thread In C#3/26/2018 1:04:10 AM. This video shows creating and running threads in C-Sharp. It also explains the use of Thread.Join(). Missing 'Manage Delegates' Option In PWA Setting In Project Server 201610/24/2017 12:54:43 AM. In this article, we will be fixing the issue Missing &#39;Manage Delegates&#39; option in PWA Setting. C# 4.0 Method Parameters6/28/2017 7:11:31 AM. This article talks about optional parameters. We can use default values for the parameters for Constructor methods, Delegates, and Methods. Delegates in C#6/22/2017 7:08:42 AM. This article is introducing a new reference type, delegate. A delegate is a C# language element that allows programmers to reference a method for their development work. Delegates, Anonymous Method, And Lambda Expression In C#1/26/2017 11:38:12 AM. This article discusses Delegates, Anonymous Methods, and Lambda Expression in C#. Explore Delegates In C#1/24/2017 11:39:33 PM. In this article, you will explore delegates in C#. How And When To Use Delegates In Your Project1/23/2017 2:52:52 PM. In this article, you will learn how and when to use delegates in your project. Overview Of Delegate Concept In C#1/19/2017 11:15:55 PM. In this article, you will learn about the delegate concept in C#. Understanding <T> In C#5/18/2016 4:54:37 AM. In this article you will learn about what is &lt;T&gt; in C#. Learn Tiny Bit Of C# In 7 Days - Day 45/12/2016 11:57:13 AM. In this article you will learn about Delegates, Enums, Attributes, Generics in C#. This is part 4 of the series. Invoke Method To Update UI From Secondary Threads In VB.NET1/25/2016 9:39:49 AM. In this brief article, we&#39;ll see how it can be possible, through the Invoke method, which is available to all controls through the System.Windows.Form namespace, to realize such functionality in order to execute a graphic refresh and update through delegates. Understanding Delegates In C# - Part 21/10/2016 12:13:55 PM. In this article I will explain about delegates with named method, anonymous method, Lambda Expression, anonymous method with omit parameter list, and delegate inference. Understanding Delegates In C#1/5/2016 12:18:17 AM. In this article you will learn about understanding delegates in C#. C# Delegate - A Silent Hero Behind Modern Programming12/29/2015 3:13:33 PM. This article is about the usage of Delegate and its Power (multi-casting, Func, Action, Predicate, Event &amp; Callback methods and so on). Overview Of Delegates12/18/2015 12:48:35 AM. In this article you will learn about Delegates and its types. Implement Custom Promoted ActionsDelegate Control In SharePoint 201312/8/2015 1:16:21 PM. In this article you will learn how to implement Custom Promoted ActionsDelegate Control in SharePoint 2013. Threading Simplified: Part 5 (Thread Pools)12/7/2015 2:33:20 AM. This article explains what thread pools are and how to use them efficiently in multithreading using QueueUserWorkItem method and Asynchronous delegates. Delegates Make Confusion (Where to use) In C#11/27/2015 10:10:41 AM. In this article you will learn about Delegates and where to use them in C#. Implement Custom SuiteBarBranding Delegate Control In SharePoint 201311/24/2015 12:17:52 PM. In this article you will learn how to implement custom SuiteBarBranding Delegate Control in SharePoint 2013. New Delegate Control Additions To SharePoint 2013 11/4/2015 11:59:48 AM. In this article you will learn about new delegate control added to the SharePoint 2013. Asynchronous Programming Using Delegates11/4/2015 12:24:40 AM. This article is intended to explain the concept of asynchronous programming using DelegateS. Publisher And Subscriber In C#11/3/2015 12:26:22 AM. In this article you will learn about Publisher and Subscriber in C# language. Callback Operation By Delegate Or Interface11/2/2015 12:42:10 AM. This article is intended to explain the concept of callback operation with the help of Delegate. Different Ways To Create Delegates In C#10/31/2015 11:34:57 AM. This article is intended to explain the idea and concept to create Delegate with different approach. Creating Delegate Controls In SharePoint10/31/2015 5:26:03 AM. In this article you will learn how to create Delegate Controls in SharePoint. Delegates And Interface Overview10/28/2015 3:32:45 PM. This article is intended to describe the relationship, similarities, differences between Delegate and Interface. All About Delegate In C#10/22/2015 1:41:29 PM. In this article, I will demonstrate you all about delegate. Delegate is a type which represents the reference of a Method. Action And Func Delegates In C#10/6/2015 9:17:30 AM. In this article you will learn about Action and Func Delegates in C#. Both of them are generic delegates, which means that you can assign both anonymous methods and lambda expression to them. Delegates In C#10/1/2015 1:55:51 AM. In this article we will try to understand what is delegate and how to use it. Delegates in C#8/28/2015 7:58:57 PM. In this article you will learn about delegates in the C# language. Fire Event From Child To Parent in C#8/27/2015 1:48:14 PM. In this article you will learn how to call a web form method or event from a child user control event or method using delegates. Covariance and Contravariance with delegates using C#8/26/2015 3:46:53 PM. In this article you will learn about Covariance and Contravariance in C# programming. Delegate and its Memory Allocation in C#8/20/2015 5:36:20 PM. In this article you will learn an overview of delegate in C# language. Delegates in C#6/1/2015 2:40:25 PM. This article explains delegates in C# programming with examples. Using ASP.Net to Delegate Domain Password Resets to Business Managers5/18/2015 5:38:05 PM. This article shows how to develop a simple ASP.NET-based application for the purpose of providing non-IT management staff the ability to reset a delegate's Windows domain account password. Difference between Func, Action and Predicate Delegates4/28/2015 7:01:07 AM. This Video provides a clear difference between Func,Action and Predicate Delegates which is one of the most frequently asked questions in Interview's these days. This Video demonstrates the difference between Func, Action and Predicate with explanation and simple and easy to understand example to answer the question. Func Delegate in C# with Examples4/25/2015 1:05:19 AM. This video provides a complete explanation about the Generic Func Delegate and also explains about how to use Func Delegate with Named Method , Using Func Delegate with Anonymous Methods and using Func Delegate with Lambda Expressions with example. Hope this video will help out in using the Func Delegate Properly. Video: .NET Delegates (in Hindi) - Part 23/16/2015 5:50:09 AM. The second part of a lecture in Hindi on using delegates with C#. Video: .NET Delegates (in Hindi) - Part 1 3/5/2015 3:51:24 AM. The first part of a lecture in Hindi on using delegates with C#. Delegates in C# Language2/26/2015 5:24:02 PM. In this article you will learn about C# Delegates. Delegates in C#2/16/2015 12:30:42 PM. In this article you will learn about Delegates in C#. Delegate Basics in C#2/12/2015 1:37:44 AM. The article will explain the basics of delegates. How delegates are initialized and how they work. Publisher/Subscriber Pattern With Event /Delegate and EventAggregator1/30/2015 1:00:54 AM. This article explains the Publisher&#47;Subscriber pattern with Event&#47;Delegate and EventAggregator. Delegates in C# - Part 21/27/2015 12:50:02 PM. In this article you will learn what delegates are and some of the advantages of delegates. Delegates in C# - Part 11/26/2015 11:45:45 PM. This article explains what delegates in C# are, how to use them and provides a real-life sample use of them. Delegate Example Explained With Mediator Pattern1/25/2015 10:29:55 PM. This article explains delegates and is explained with an example using the Mediator Pattern. C# Corner Delhi Developer's Day 18th January, 2015: Official Recap1/22/2015 2:09:22 AM. The C# Corner Delhi Chapter organized its monthly event, Delhi Developer's Day at C# Corner Noida Office, on 18th January, 2015. C# Corner Delhi Developer's Day 28th December, 2014: Official Recap1/7/2015 8:44:01 PM. The C# Corner Delhi Chapter organized its monthly event, Delhi Developer's Day at C# Corner Noida Office, on 28th December, 2014. Generic Delegates in C#1/1/2015 12:24:34 AM. In this article you will learn about Generic Delegates in C#. Delegates in C# Language12/31/2014 11:48:27 PM. In this article you will learn about Delegates in C# Language. Func Generic Delegate in C#11/26/2014 6:46:09 PM. In this article, we will discuss the concept of Func generic delegate. From Delegates to Lambdas11/22/2014 6:10:22 PM. In this article I am going to discuss the evolution of lambdas from delegates. Understanding Lambda Expressions11/15/2014 5:25:38 PM. This chapter has introduced the theory behind lambda expressions as well as illustrates its syntax of expressions. Delegates, Anonymous Methods & Lamda Expressions9/30/2014 6:30:12 PM. This article explains the basic concept of delegates, anonymous methods and lamda expressions. All About Sorting in C#9/5/2014 2:18:05 PM. In this article you will learn how to use IComparable&lt;&gt; or IComparer&lt;&gt; and how it can be replaced by LINQ. Generics in C# - Part II9/3/2014 11:56:12 PM. In part II of generics in C# we will see how to create generic classes, structures, interfaces, and delegates. We will also see how to create a custom generic collections. 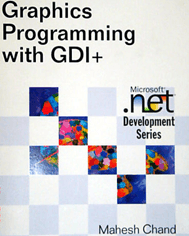 Generics in C# - Part I9/3/2014 11:48:59 PM. In Part I of this series you will see the importance of generics, you will learn how to use generic types which in the System.Collections.Generic namespace and you will also learn how to create generic methods. Action Delegates9/2/2014 11:55:22 PM. This article describes the action delegates. A Journey to Lambda Expression: Part 27/29/2014 6:11:02 PM. This article relates a journey to Lambda. Delegates in .NET7/29/2014 3:52:50 AM. Here you have a complete introduction to delegates. Delegate Uses in C#7/7/2014 7:12:42 PM. This article describes the uses of delegates in C#. A Journey to Lambda7/1/2014 4:34:31 PM. In this article we will learn about delegates with examples in C#. Delegates Simplified6/1/2014 11:03:12 PM. Delegates encapsulate and pass methods as parameters to other methods. A delegate can encapsulate a named or an anonymous method. You’re most likely to use a delegate in events or callbacks. jQuery Interview Question and Answer With Practices: Part 35/28/2014 5:16:06 PM. In this article I will provide jQuery interview questions and answers with practices. Delegates in Actual Projects5/19/2014 2:38:32 PM. This article explains how to use delegates in actual projects. Pass Data From User Control to Parent Page, Using Events and Delegates in ASP.Net3/13/2014 1:30:09 PM. This article explains how to pass data from a user control to the parent page using events and delegates in ASP.Net. Progress Bar in WPF With Anonymous Delegates3/8/2014 11:51:52 AM. Here I created a WPF Progress Bar that will demonstrate many things. Understanding C# Events: What They Are and Where They Came From2/18/2014 1:28:12 PM. To help you get a working knowledge of C# events and event handling, this article explains where events come from, what they really are at a functional level and how they are expressed in C#. This article specifically looks at the Gang Of Four (GOF) Observer pattern. Compiled Queries in LINQ2/11/2014 3:02:11 PM. This article explains the use of compiled queries to improve performance when a query is fired many times. Event Procedure in Windows Forms Application2/9/2014 2:31:33 PM. Here I will show you what happens when we double-click on an event of a control in the property window. Raising Events, Event Handlers, and the Use of Delegates12/27/2013 6:25:00 PM. This article focuses on delegates, how to use them, their relation to events, and their relation to raising events. It is meant to help the beginner learn delegates by example code. Generic Delegates in C#12/16/2013 8:18:02 PM. In this article, let's try to understand generic delegates in the C# language. MatchEvaluator Delegate of a Regular Expression Replace Method in ASP.Net12/12/2013 9:08:58 PM. This article explains the MatchEvaluator Delegate of a custom verification for each match found by a Regular Expression Replace method. Functional Programming in C#: Currying12/2/2013 7:32:32 AM. Currying is a way to re-write a function with multiple arguments in such a way as it can be called as a chain of functions each with a single argument. This article covers using a few simple utility methods you can use to curry your methods. What are Delegates in C#10/27/2013 11:33:43 PM. In this video you will learn about Delegates in detail. Introduction To Delegates in F#10/19/2013 1:56:23 PM. In this article I will explain Delegates and how to them in a F# console application. 2 Ways to Implement Asynchronous Technique in C#9/22/2013 3:45:52 PM. In this article we will see how to implement asynchronous style in C# application (yes, even in .NET 4.0). Assignment Compatibility, Covariance and Contravariance8/12/2013 4:48:13 PM. The terms covariance and contravariance enable implicit references to conversion of array type, delegate type, and generic type arguments. Covariance preserves assignment compatibility and contravariance reverses it. Differences Among Bind(), Live(), Delegate(), Trigger() in jQuery8/10/2013 5:55:10 PM. In this article we will learn about various jQuery event handling methods and the differences among them. Delegates, Anonymous Functions and Lambda Expressions in C#7/28/2013 2:43:26 PM. This article provides the basics of delegates, Lambda expressions and delegate with Lambda Expressions. All about Generics7/20/2013 1:34:45 PM. Using this article we will learn all about generics in C#. Add Delegate Control in the Active Directory Sites and Services7/19/2013 4:37:04 PM. This article explains about how to add a Delegate Control in the Active Directory Sites and Services. Learn Object Oriented Programming Using C#: Part 136/24/2013 11:20:13 PM. This article explains another important component of OOP, which is delegates. Func Delegate Using Lambda Expression in C#6/24/2013 8:40:52 PM. In this article I'll try to explain a cool feature introduced with .NET 3.5. Known as Func, also named by some developer as a readymade delegate.